Hello from the tour bus! Smack in the middle of our two week US tour, and I decided the twelve hour drive to Wichita is the PERFECT time to post some new arrangements! Enjoy the new arrangements for Dragon Quest III's Heavenly Flight, Mario Party's Can It Be Done? and Ghosts n' Goblins' Stage 1 & 2, along with the new Blog topic this week: the arpeggio! Knock yourselves out, more on the way! VERY EXCITING NEWS!! I will be performing with VGL for my very first time in Europe! This December, we will be playing in Paris, France. I'll also be at our New Jersey shows at the end of December, to round out 2010. I hope to meet lots of new fans at the shows! Ticket and show information at videogameslive.com. Check it out peeps, VGL CD/DVD/Bluray is finally here! Here is the official trailer as well. Enjoy! Lots of new transcriptions for Super Mario World available on the Arrangements page this week! Also wrote an extensive post in the Blog about some good ol' music theory regarding Super Mario World. Had a lot of fun with this one, hope you enjoy it! Check out the new arrangements for the Bonus Level, Underground, Bowser's Valley and Special Zone themes. More on the way! Hello VGL fans! It's official--I will be going on tour with VGL in November to several US cities in Michigan, Wisconsin, Illinois, Kansas, Missouri, Indiana, Louisiana and New Hampshire! My first time on a tour bus, wish me luck! ;-) Check out videogameslive.com for tour dates and tickets for your area. Can't wait to see you all there! New transcription from the world of Chrono Trigger this week! It's available on the Video Game Arrangements page. Check out the Blog for more music theory and info about this piece. Enjoy the new arrangement for Corridor of Time! More on the way! New transcriptions for Super Mario World available on the Video Game Arrangements page! Check out the Blog for more info about each piece I transcribed. Enjoy the new arrangements for Forest of Illusion and Underwater Theme! More on the way! Hey Gen Con goers! In addition to performing at the VGL show at night on Saturday, August 7th, I will also be performing that day at the Video Games Live booth at Gen Con, 11am-1pm. I'll be playing a bunch of new solo flute arrangements of various video game tunes. The ticket booth will be located in the food court, so grab a snack and come on down! Hope to see you all there! New arrangements for Chrono Trigger available on the Video Game Arrangements page! Check out the Blog for more info about each piece I transcribed. Enjoy the new arrangements for Chrono Trigger and Zeal Palace! More on the way! Ithaca College School of Music has posted an article about the PBS special! It's a great honor for me to be recognized by my college, especially when I only graduated a year ago--it was a fantastic school and I miss it a great deal. I'm so happy to know that they've been keeping track of what I've been up to after graduation! Go IC! More arrangements for Super Mario World available on the Video Game Arrangements page! Check out the Blog for more info about each piece I transcribed. Enjoy the new arrangements for Vanilla Dome, Star Road and Koopaling Battle Theme! More on the way! More new arrangements on my Video Game Arrangements page! Check out the Blog for more info about each piece I transcribed. Enjoy the new Super Mario World arrangements for the Main Titles, Yoshi's Island, Donut Plains, and the Overworld! A LOT more are on the way! I will be performing with Video Games Live at their big concert in Indianapolis on August 7th, 2010! This concert takes place the same weekend as the big tabletop gaming convention Gen Con, for which I am INSANELY excited! Tickets are on sale now at videogameslive.com. Hope to see some fellow tabletop geeks come out to the show! More new arrangements on my Video Game Arrangements page! Check out the Blog for more info about each piece I transcribed. Enjoy the new Castlevania arrangements for Nothing to Lose, Stalker, Vampire Killer and Walking on the Edge! More are on the way! Check out some new arrangements for my VG Arrangements page! Check out the Blog for more info about each piece I transcribed. Enjoy the new arrangements for Duke Nukem II, Word Rescue and Bio Menace! More are on the way! Get your sneak peek of the groundbreaking Video Games Live: PBS Special! Originally filmed in New Orleans this past April, a 90-minute program will be televised nationally on July 31st 2010 by PBS. But wait, there's more! The entire THREE HOUR CONCERT will also be made available on CD and DVD/Blu-Ray! Get the full story at http://videogameslive.com/index.php?story=247. This just in! I will be performing at the VGL Dallas shows on June 11th and 12th. As usual, check out videogameslive.com for ticket info! Be there or be square! Hey everybody! I will be performing at VGL in Los Angeles for their big show at E3 on June 17th! Lots of awesome video game composers are going to be there, including composer-performers Akira Yamaoka and Norihiko Hibino from Japan. 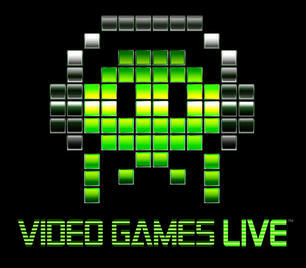 Check out ticket information at www.videogameslive.com. Hope to see you there!